Canadians suffered back-to-back losses in doubles on Friday, with veteran Daniel Nestor and Indian Rohan Bopanna taken out by Spain's Feliciano Lopez and Nestor's former partner Max Mirnyi of Belarus 7-5, 6-3. The last time Nestor lost this early in Australia was 2009. The end came as Bopann put a forehand service return into the net on the first of two Mirnyi match points after 73 minutes. Vancouver's Vasek Pospisil was evidently feeling the effects of his draining singles win on Thursday as he and Austrian Julien Knowle had to quit after just three games and nine minutes while leading Benjamin Becker of Germany and Artem Sitak of New Zealand 2-1. 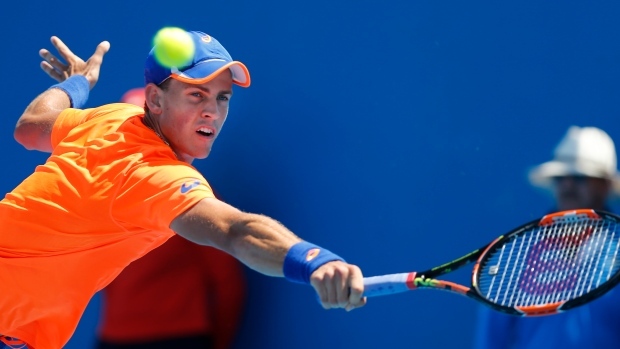 Pospisil is due on court in the singles third round on Saturday against Spain's Guillermo Garcia-Lopez. He was treated on court for various back and hip complaints during his singles win over Italy's Paolo Lorenzi.